After the incredible success achieved on their world launch at the Salone del Mobile, the Mademoiselles by Philippe Starck â€œdressedâ€ by Lenny Kravitz and his Kravitz Design team are now included in the catalogue. 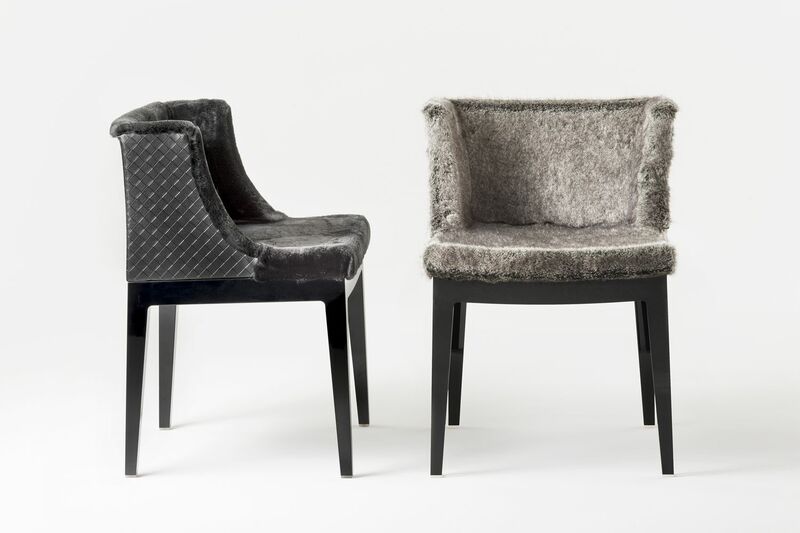 Three versions that perfectly mirror the spirit of the American superstar and combine the elegance of the armchairâ€™s haute couture with the wild rock mood of the fabrics selected. â€œMademoiselle K pythonâ€ matches a grey faux fur with a grey and black python-printed fabric. â€œMademoiselle K furâ€ has a black interwoven leather back and a black faux fur front.